Had to share the Yelp review below I just completed. Really, this has to be the best year ever for Downtown San Jose restaurants. Amir has a well deserved 4.5 star rating on Yelp right now. A worthy successor to Morocco's, highly recommended! Downtown San Jose's lucky streak of GREAT new restaurants continues. 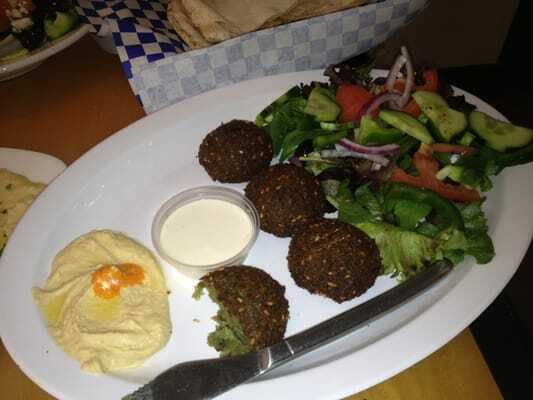 This one is really a gem and easily one of the best values for Mediterranean in San Jose. 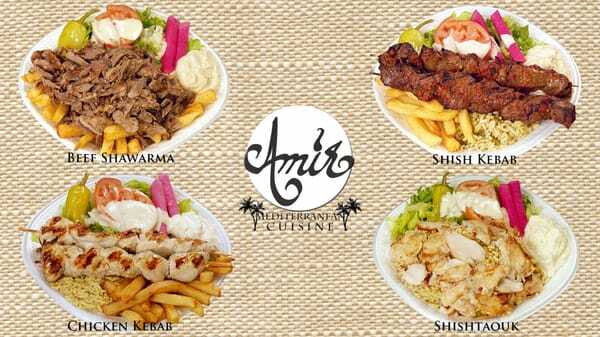 The owner is Greek and grew up in Egypt, and the menu reflects a nice variety of foods from all over the Mediterranean countries. We had the hummus, tzatziki, and baba ghanoush for appetizers. All were good but the baba ghanoush was among the best I have ever had. Nicely pureed with a rich smokey flavor. For the main course we tried falafels (outstanding), chicken kababs, and geef shawarma... for the price you're going to have a really hard time finding quality and authenticity than this. For dessert we got almost all of the options available. The kunafa was the best I've tried so far. There was also an Egyptian dish topped with sweetened milk that was super unique and tasty. I can't remember the names of the other desserts we had but there wasn't a single bad or mediocre item among them, I would order all of them again. Oh, almost forgot. They have a freshly squeezed mint lemonade that will blow you away if you are a lemonade fan. On a hot summer day I think I would be willing to make the trek just for that. The customer service also rocked. I was very sad to see Morocco's go (moved to Mountain View), but am glad they were replaced with a worthy successor. I think this place is a little gem! And the owner, who walks around to every table I saw at lunch greeting people is amazing! I will have to disagree a little bit on the falafel. I found it only average. Especially when compared to Robbies Falafel at SPM and Falfels Drive In. Everything else we had at lunch was really good. I was also very happy to see a busy lunch crowd! Wow, have to disagree with Robbies. My wife always gets a Mediterranean combo every time we go to the Market, and I always steal one of her falafels only to find them mediocre (I don't know why I keep expecting a different result). However, I'll give you Falafel Drive-In... think they have an edge but it is also a very different type of Falafel than Amir's. If you want the absolute best, most authentic Falafel in Silicon Valley, try Falafel Stop in Sunnyvale. Also try the Sabir (sp?) there. I totally agree with Joshua and David. The hospitality and care of the owner is above and beyond. 5 star food and service - I recommend this place! We were there tonight and were told that ANY TIPS ADDED TO THE TOTAL ON YOUR CREDIT CARD is kept by the owner. Cash tips put in the plastic bucket next to the cash register is split between the staff. This is not only unfair to employees, it is also deceptive for customers who believe they are rewarding good service with a 'tip'. And it is illegal if the scumbag owner is not reporting the income he steals from his employees' tips.